On Sunday evening,? ?April 15, from 7 to 9 p.m., there will be a community dance held at Goff Memorial Hall, 124 Bay State Road, in Rehoboth. 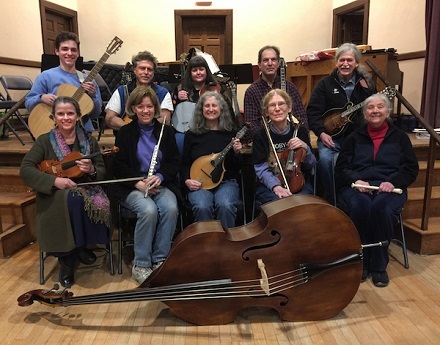 This dance is hosted by the Sunday Night Jammers, a group of area musicians who meet regularly on Sunday evenings at Goff Hall to play music rooted in Celtic and other traditions. The April 15? ?dance will feature contra dance steps and a variety of international and couple dances, such as polkas and waltzes. All dance steps will be taught. Admission is free and open to the public. Beginners and families are welcome, with the recommended dance age of 6 and up. It is not necessary to come with a partner. A potluck precedes the dance at 6 p.m.
For information, contact Bob Elliott at??Bobolinkelliott@yahoo.com? ?or call 774-644-1369.? ?